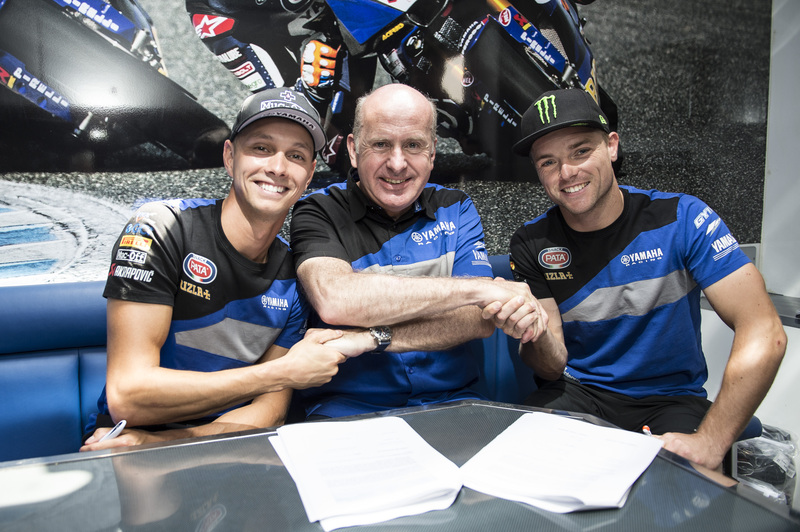 Alex Lowes will again lead Yamaha's assault on the FIM Superbike World Championship in 2019, after the two riders agreed terms with Yamaha Motor Europe during the recent Misano race weekend. "I am really happy to continue as a part of Yamaha's World Superbike project, having been involved since they returned to the series in 2016. Since then we've been through a lot together; some ups, some downs, but we're definitely on an upward trajectory now. It was great to get my first race win this season but, of course, this success just means we expect more every weekend. I believe so much in this project, my ambition has always been to see it through to a World Championship title and I don't think that's unrealistic given the progress we've made. I have never enjoyed racing as much as I do with this team and I will continue to give it my all to get to where Yamaha needs to be. Massive thanks to Eric de Seynes, Andrea Dosoli and Paolo Pavesio at Yamaha and to Paul Denning from the team for believing in me."